The Green House is an utterly unique and romantic little bolthole in the south end of a large private highland garden looking directly over the sea to Skye. There is a 50 foot deck with a traditional , cedar , wood burning hot tub where you can relax and roast in steaming hot water and drink ice cold champagne. The Green House has a spanish stone tiled floor warmed by underfloor heating and also a powerful little stove for colder nights. There are beautiful french fabric curtains and blinds, and famous William Morris wallpaper, and a bath in a bath chest at the foot of a traditional oak, four-poster bed. 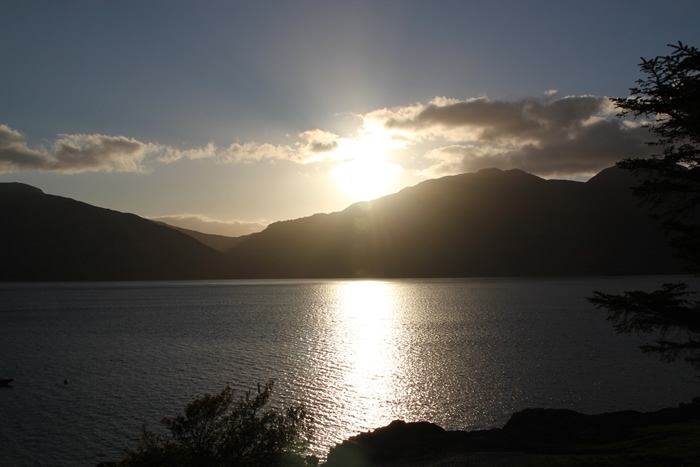 You are 5 minutes from the the original Glenelg-Skye Ferry and only a few miles north of Gavin Maxwell’s beautiful Sandaig and Ian Fleming’s family estate in wonderful Loch Hourn.